On October 28, 2014, SOS Children’s Villages Illinois celebrated a historic moment for the organization with the official opening of its newest Village. Located along the 1200 and 1300 blocks of West Washburne Avenue in the Roosevelt Square neighborhood of Chicago, the third Village in Illinois offers the city and state another unique community of 14 individual homes with the capacity to support up to 84 children in foster care, ages birth to 21 years old. Opening the doors to a Village is a momentous occasion because the process of developing and constructing any SOS Village is done with a great deal of thought and deliberate action, and always with the purpose of providing care and support to more children and families in need. Through the leadership of the SOS Illinois Board of Directors, executive leadership team, and many supporters of the organization, the recent opening of the Roosevelt Square Village is a great testament to this practice. The three Villages in Illinois offer an alternative to traditional foster care. Due to their uniqueness, it requires seemingly a journey of a thousand miles to build just one Village. The distance travelled on the road to the Village at Roosevelt Square began with the first step taken more than twelve years ago in 2002. At the time, SOS Children’s Villages Illinois had one Village located in Lockport, Illinois, which had been open for just under a decade. SOS Illinois formed an exploratory committee to review potential sites for its second Village, Roosevelt Square being among those reviewed. All locations considered were assessed according to a list of twelve criteria. 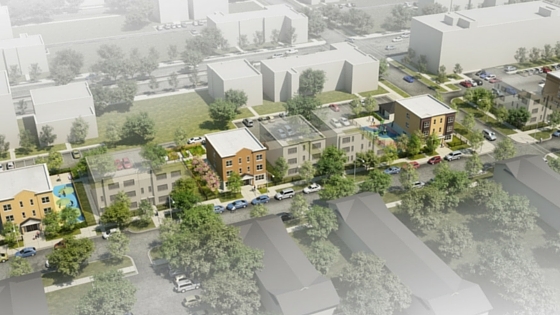 Ultimately, the second Village was built in the Auburn Gresham neighborhood of Chicago; however, the Roosevelt Square neighborhood was kept on file as a quality site for a future Village. Almost eight years later in 2010 with two Villages and an acquired short-term shelter located in the Back of the Yards neighborhood of Chicago all operating at capacity, SOS Children’s Villages Illinois began discussions of opening a third Village. Several locations within different Chicago neighborhoods were reviewed, one of which was a revisit to the Roosevelt Square neighborhood. With significant support from local government, board members, community leaders, and residents, SOS Illinois was able to meet each of the key criterion. Thus, the process of designing, solidifying funding and endorsement, as well as constructing the new homes was on its way. 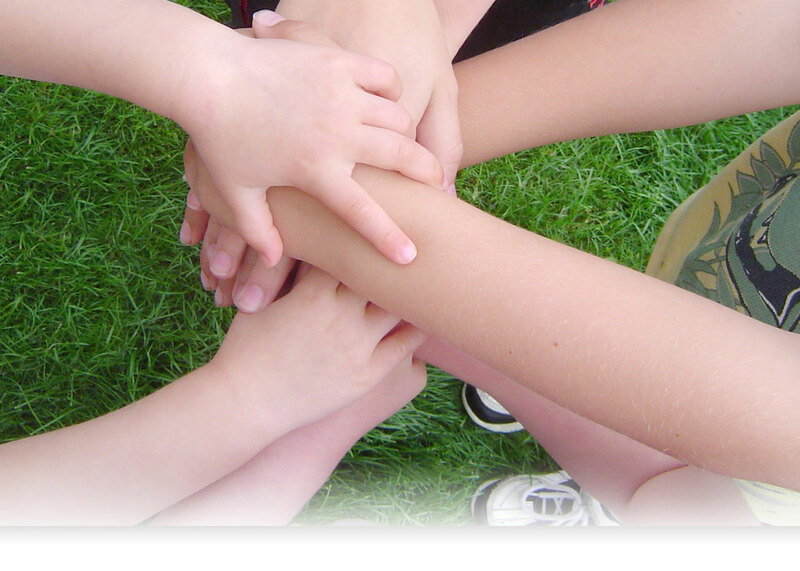 SOS Children’s Villages Illinois worked continuously for nearly five years. At the end of October 2014 over one hundred government officials, business and nonprofit leaders, as well as longtime supporters joined SOS Illinois for the official grand opening and ribbon cutting ceremony of the third Village. In addition to the ceremony, attendees had the opportunity to tour two of the homes. Tim McCormick, CEO, SOS Children’s Villages Illinois, served as emcee for the program, which included remarks from Don Biernacki, Board President, SOS Children’s Village Illinois, Commissioner Andrew J. Mooney, from the City’s Housing and Economic Development, Alderman Danny Solis, 25th Ward, Michael R. Merchant, CEO, Chicago Housing Authority, and Edward J. Wehmer, President and CEO, Wintrust Financial Corporation. Joining the dedication ceremony at the new Roosevelt Square Village was 21-year old Terik Brown, an alumnus of the Chicago Village. Although the journey seems nearly complete, one more building awaits construction – the hub of the Village – the Roosevelt Square Village Community Center. Plans are underway to secure both funding and land for the project. Once built, the Community Center will provide services to both children and families, as well as to the surrounding community members. Education and training services will be offered through parent training and life skills seminars, youth services such as tutoring and educational support, employment and life skills training, in-home support and family strengthening services, professional clinical therapeutic services, and social engagement through community activities. After two months of operation, SOS Illinois Foster Parents and staff at the Roosevelt Square Village already see the difference being made in the lives of the children who call it home. The support a Village contributes is far-reaching both within and beyond its boundaries. And yet, even once the physical construction of the homes and community center are complete, the road to Roosevelt Square will continue to develop. As with any Village, the most important steps taken are those to ensure each child is given unconditional love. Walking hand in hand, children learn to trust again and feel an ever-important sense of belonging that forever changes the way they see themselves and those around them.